Is Severe Poverty a Good Proxy for Chronic Poverty? From the policy maker’s perspectives, describing static poverty is not enough. It is commonly acknowledged that different policy measures are needed to tackle transient poverty and chronic poverty. However, the greatest challenge of distinguishing these two types of poverty is data availability and measurement. Although to conduct a poverty dynamics study, researchers usually require a set of panel data, most developing countries do not have them; and instead, they often have static socioeconomic survey data. 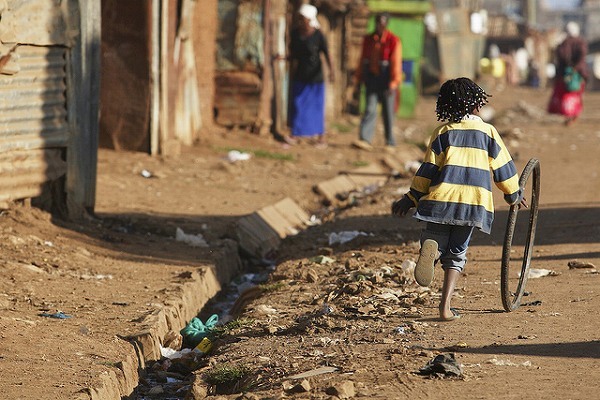 Could extreme poverty be a good predictor of chronic poverty? If so, in a circumstance of lacking panel data, we could have rough ideas of chronic poverty by calculating extreme poverty. Given the situation and the question, McKay and Perge wrote a paper to answer it. This paper analyses 23 panel data from 12 countries. The result shows that severe poverty is a reliable indicator of chronic poverty, and can be considered as an adequate proxy for identifying a large proportion of the chronic poor. McKay, A. and Perge, E. (2011) Is severe poverty a good proxy for chronic poverty? Evidence from a multi-country study.